Businesses and households are facing the possibility of power cuts next month if the ESB workers proceed with strike action on 16 December. 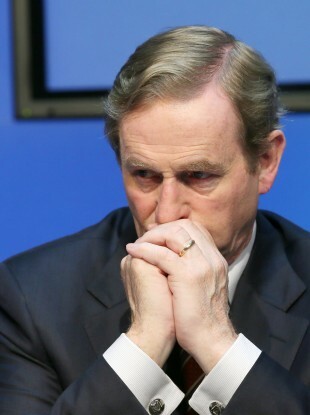 TAOISEACH ENDA KENNY has said that talk of possible strike action at ESB “causes unease and concern for people” amid the possibility that industrial action next month could result in power cuts across the country. Echoing the words of two Cabinet ministers this morning, Kenny said that the dispute was not about wage cuts but the definition of the ESB pension fund. He insisted that the ESB pension fund is in good shape. The largest union at the State utility company, Unite, has confirmed that it will be serving notice of industrial action on the company this Friday with showdown talks set for this Thursday. The dispute centres around an agreement in 2010 to address the €1.6 billion deficit in ESB’s pension scheme which workers say the company has now breached. Changes to ESB’s accounting treatment were revealed in October though the company and ministers insist that this does not change the nature of the scheme. Kenny said today he hoped that unions will accept the invitation to talks on Thursday and they will “engage fully and comprehensively”. He said he hoped that “given the implications of this… that it can be resolved quickly and effectively in the national interest”. “This is about our country, this is about hundreds of thousands of people who have made a lot of sacrifices over the last number of years,” he said. Meanwhile, Fianna Fáil said today there is “genuine fear and anxiety” among ordinary people and businesses that they will face power cuts in the run-up to Christmas. He added that “surely any dispute the unions have with management can be resolved by going through the available dispute resolution mechanisms”. Email “Taoiseach hopes ESB dispute can be resolved 'in the national interest' ”. Feedback on “Taoiseach hopes ESB dispute can be resolved 'in the national interest' ”.